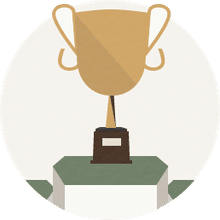 Jef Goodger is a bowling enthusiast who works as a writer, commentator, and producer for Xtra Frames, the Professional Bowlers Association streaming service. His writings feature on various websites, such as Pinterest. 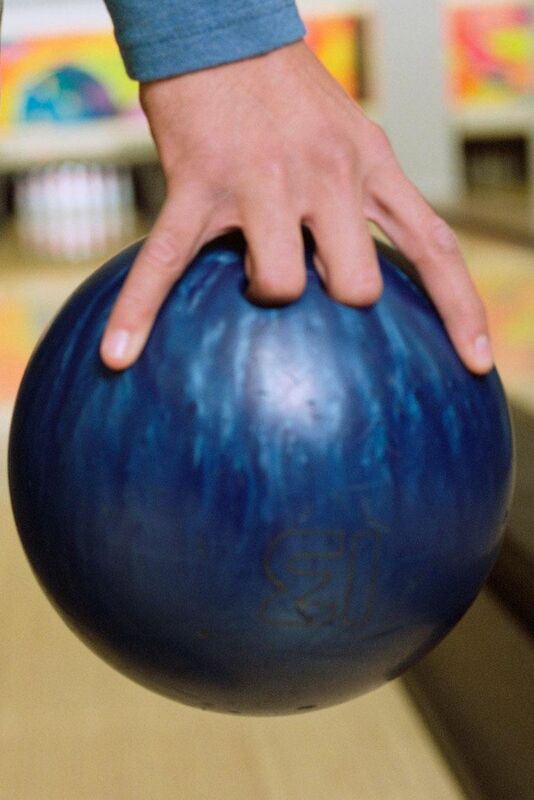 The conventional bowling grip is the most basic way to hold a bowling ball. This is good to know when you're browsing the racks of bowling balls at your local bowling center. When you get this grip down, you can lift those bowling balls to hunt for the one that feels best and most suits you. A typical bowling ball has three holes. Two are side by side and one, usually, the largest of the three is located below those two. Put your middle finger and your ring finger in the side-by-side holes and your thumb in the other. This grip gives you the most control and the lowest likelihood of experiencing a freak injury. Make sure your fingers are inserted as deeply as the holes permit. If you're a beginner, this should typically be down to your second knuckle joint on each inserted finger. Pro bowlers often experiment with more shallow insertions to put various spins on the ball as it leaves the hand. The size of the holes doesn't really matter with house balls as long as they're big enough to fit your fingers. You don't want them to be too tight. You also don't want them too loose, although that's generally not too much of an issue if the holes are the right distance apart. First, put your thumb all the way into the thumb hole. Lay your middle and ring fingers over the finger holes. If your second knuckle from the top is over the middle of the holes, you've found a good fit. First, put your thumb all the way into the thumb hole as you did when you were selecting the ball. Now insert your middle and ring fingers into the other holes. The ball should feel secure in your hand. Of course, you'll want to cradle the ball in your free hand as you approach the lane for your throw. Many novice bowlers will carry the ball up in one hand and throw, but consider the strain this puts on your bowling hand. A little support from your free hand can go a long way. All this assumes that the ball is not rolling up the ball return unit as you move to pick it up. If it is, you'll want to take that your hands and particularly your fingers are not reaching for the ball in such a way that the next ball rolling in can squash them. If you grip the ball too tightly, it will prevent your thumb from easily releasing during delivery as you throw the ball. This will affect the accuracy of your throw. You want the ball to slide gracefully off all your fingers. If you're serious about the sport, you might want to forego bowling alley balls altogether and have your own ball custom made to fit your hand. This can prevent injury if you bowl frequently. The holes in house balls are drilled somewhat randomly to accommodate the weight of the ball but not necessarily the bowler. Are You Using the Wrong Bowling Ball? Which Weight Is Right for You?